(Plainview, N.Y. – December 6, 2016) – EW Howell Construction Group, one of the region’s leading education, retail, cultural and healthcare builders, announces the expansion of its Healthcare Division with the promotion and hiring of three executives. 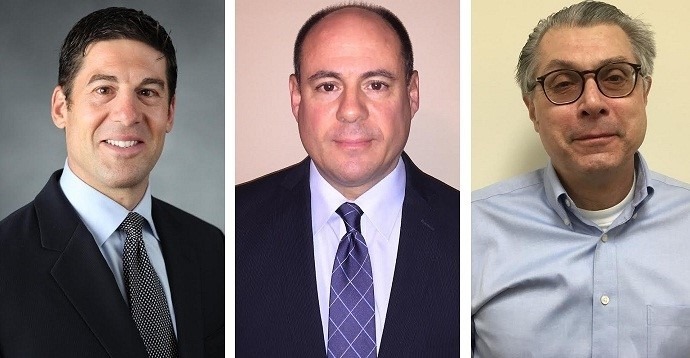 Robert Timperio has been promoted to Vice President of EW Howell Construction Group’s Healthcare Division, which also recently welcomed Chris Caponegro and Daniel Abbruzzese as Project Executives. 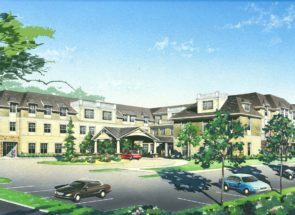 EW Howell Construction Group’s Healthcare team has provided general contracting and construction management services to some of the New York area’s leading healthcare and assisted-living providers, including Good Samaritan Hospital, Southampton Hospital, Montefiore Medical Center, Stony Brook Hospital, Northwell Health and Sunrise Assisted Living, among others. They are currently providing core and shell and interior construction services for Long island’s largest current development, the $300 million Stony Brook Medical and Research Translation (MART) project located on Stony Brook’s Academic Medical Center campus. Currently the superstructure is 95 percent complete and the interiors about 20 percent complete. The project includes two separate buildings: construction of the 245,000 square-foot MART building and a 225,000 square-foot Hospital Pavilion. The eight-level MART will be devoted to cancer research and care, including the new home for the Stony Brook University Cancer Center. The 10-level Hospital Pavilion will contain 150 inpatient beds; two of these floors will be dedicated to a new Stony Brook Children’s Hospital. The expansion also includes 12 new classrooms and a 300-seat auditorium. Timperio has more than 23 years of experience in the construction industry. He joined EW Howell Construction Group in 2003 as a Project Manager, and was promoted to Project Executive in 2008. In this new role as Vice President of the Healthcare Division, he will help oversee the expansion of the Healthcare Division, business development and project management. Timperio’s expertise in healthcare construction include some of the biggest names in Long island healthcare including Northwell Health (formerly North Shore Long Island Jewish), Southampton Hospital and Stony Brook University Hospital. EW Howell Construction Group continues to expand its Healthcare Division with the addition of Chris Caponegro and Daniel Abbruzzese as project executives. With more than 30 years of experience in the construction industry, Caponegro has worked on projects for Stony Brook University Hospital, Winthrop University Hospital, NYU Langone and Good Samaritan Hospital. He previously was a Construction Administration Leader at Cannon Design. Abbruzzese has more than 40 years of experience and an extensive healthcare background. Dan has hit the ground running at E.W. Howell. Prior to joining E.W. 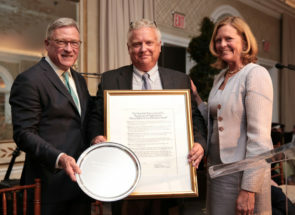 Howell, Abbruzzese was the Director of Engineering at Huntington Hospital Northwell Health.